Symbian is the operating system which was developed by Nokia for its first smartphones. Unfortunately it really met its match in the smartphone market when it came up against the Android operating system and Apple’s own system. Most Nokia smartphones are developed now to use Windows Phone operating systems although there are still a couple out there that use Symbian. It has been recently announced that Symbian will not feature on any more of Nokia’s handsets after the PureView 808. This particular handset was developed to make the most of technology for photos and videos and boasts a 41 megapixel camera. The handset itself is widely considered to be one of the most impressive smartphones on the market, but it was not able to make enough of a difference to the fate of Symbian. It has been estimated that Android and Apple’s iOS currently have around 90% of the smartphone market and Nokia is turning to Windows Phone to redress the balance. There are rumours that Nokia will be producing a version of the PureView 808 with a Windows Phone operating system although there has been no official announcement on this as yet. Users of Symbian handsets at the moment do not need to worry. Nokia is to ensure that there will be support in place for those who have it for the next few years along with some software development so that they will not be left behind. 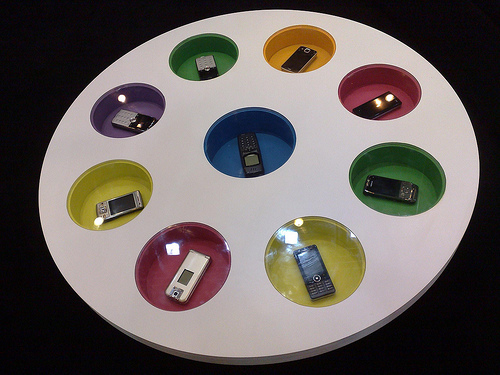 Nokia has transferred staff to a new section that will deal solely with the support for Symbian users. This should run until 2016 but after that date Symbian will no longer be available. As most people update their phone every couple of years this should not be an issue for most users. Nokia have released sales figures which show that its Windows Phone handsets sell at twice the rate of the Symbian handsets. The demise of Symbian is therefore not that surprising and many of those who keenly follow the smartphone market were expecting it. Development in recent years focused more on the Windows system and Symbian was not developed in the way that it should have been. However, it should be remembered that Symbian is much older than any of its rivals but development of other systems outstripped it in terms of performance. Nokia has lost a great deal of its market share and one way to get it back is to compete with operating systems. It is estimated that Samsung will have the largest share of the market in 2013 and the majority of its handsets use Android, although there are some with a Windows Phone system. In order to compete Nokia needs to find a level playing field and focus on using Windows Phone in the future. The end of Symbian will not worry most people and as the Windows Phone handsets produced by Nokia are among the most popular in their range it does make sense to focus on this area. Technology in the smartphone market is moving very quickly and manufacturers need to respond to the needs of the consumer. Phil Turner has been looking at retro mobile phones recently. They are perfect for what he needs, calls texts and emails.